Ours is a colourful world. Colours are everywhere and can be quite impactful, too. Colours have the ability to influence our thoughts: in a digital world full of designs and creative content, colours help you to stand out. Careful use of colour makes your work easier by helping people interpret every element on your site and drive clicks to your call-to-action buttons. The responsibilities handled by colours within the digital world are quite wide. 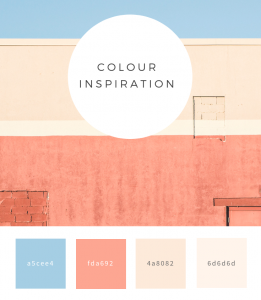 The colours you choose should make your site look good, clear and easy to navigate. The hues should be able to hold the attention of the user for as long as possible, trigger the right emotion for sales and thus guide the user effortlessly through the conversion funnel. 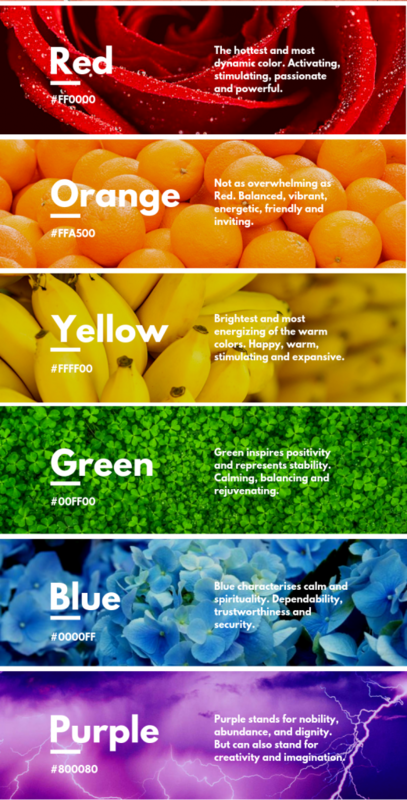 If you’re a part of the digital world, it’s important to have a decent understanding of the psychology of colours. Most of you might be familiar with some basics of colour psychology. Who isn’t, right? Colours are a part of our lives since time immemorial, and there are some common generalities in their meanings across the globe. Colour psychology doesn’t mean manipulation, coercion or being pushy though! The right word would be — persuasion. The point is to persuade your prospective customers to take action through the use of the right colours. According to researchers, roughly 62% to 90% of purchasing decisions are made under the influence of colours. Research conducted by the Secretariat of the Seoul International Color Expo 2004 states that 92.6% of the purchasing decisions are based on visual appearance. Psychologists think this is because every time we see a colour a series of chain reactions happen in the brain affecting our hormone levels and thus our decisions. So, where are the areas you need to be extra careful about your site? Choosing the colour that suits you the best! The psychology of colours varies between each colour and each product. The same colour can do good or bad depending on the product you use it for. Your job is to identify the colour that suits your product the best. For example, let’s have a look at this image by the brand L’Oreal. The strong use of colours made the whole picture elegant and sophisticated. The proper use of contrast is also a strong factor in colour psychology. You don’t want your potential clients to struggle with reading through whatever you’ve written, especially on your call-to-action buttons! According to a research study published by Moz, the sales of an online slots machine company increased by 187.4% when they changed their call-to-action button to yellow from green. What do the colours mean? Let’s start with green. It is the colour of nature. It’s peaceful and tranquil. While the lighter shades of the hue represent concepts like growth and spring, the dark shades are associated with money. If you’re running a website/app that supports environmental/organic products, it’s a good idea to use green in your background. Yellow is said to be an energizing hue. It is the expression of a cheerful mind void of any sort of worries. Use this hue for attention-grabbing products like kids apparel or toys. The colour purple is associated more with luxury and beauty and will be apt for luxury products and beauty salons. Are you craving immediate attention? Something red is what you need, especially for an ‘Act Now’ button. It is an exciting and stimulating colour, and people use it to express passion, power or even anger. Orange is also a vibrant and friendly hue, but less overwhelming than red. Orange is the perfect choice for those who want to showcase their creativity but still want to be within the comfort of a warm colour. Pink is traditionally used for websites and apps targeted on the female audience. The colour represents youthful femininity, fun and romance. 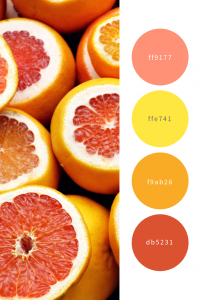 You may also be reminded of juicy fruit or candy, which makes the hue apt for the confectionery industry. Many powerful corporations have blue as their primary colour mainly because the blue hue is believed to create an environment that is calm and fresh perceptions. Blue, also, denotes trustworthiness. The colour black is commonly used to bring a contrast with the rest of the colours used in the background. It is versatile and will go with any shade. The hue brown is best suited for websites with products related to health and wellness. Lighter shades of the colour like ‘Cream’ depict calmness and elegance, which makes it a perfect background. Dark brown feels refreshing and yummy like a hot cup of freshly brewed coffee or hot chocolate. Gold is always associated with power and prestige. Go with the gold colour if your product signifies elegance. Why does this matter? Using the wrong colours can create a negative impression on your audience resulting in a higher bounce rate, and the right colour gives you higher retention rates and a better chance of making the sale. Next Post : Planet Media does Sydney: Industry trends from the Online Retailer Expo.